Teaching is a highly rewarding activity and there are many highs to be had along the way: the students who ‘get it’, the students that you help back from the edge of failure, the ones who you extend opportunities to who take them, and the (small) group who come back some years later and thank you. They’re all great. One of the best ways to spot those students are at risk or already in trouble is, of course, to put in some structure and assessment to give you reports on when people are having trouble. A good structure will include things like a set of mechanisms that allow the student to determine where they are, and mechanisms that alert you if the student is in terrible trouble. Of course, the first set can also be viewed by you, as you are probably instrumental in the feedback, but we’re not really talking summative and formative, we’re talking guidance and then disaster prevention. This is “Don’t Park Here”, “Don’t Cross Here” or “We Are Very Close to a Naval or Cavalry Officer”. It’s like driving on the roads. They paint lines on the roads that tell you where to go and sometimes you even get the things that go “BARRUMP BARRUMP BARRUMP” which is secret code for “You are driving in a country that drives on the other side from you, back into your lane.” However, these are for the driver to use to determine which position they should hold on the road. In this case, it’s not just a personal guidance, it’s a vital social compact that allows us to drive and not have it look like The Road Warrior. Mel Gibson looks upset – has he seen his press in the early 21st Century? But the key point for these lines is that they do not actually have any ability to physically restrain your car. Yes, we can observe people swerving over the road, whether police or cameras are viewing, but that little white or yellow line doesn’t do anything except give you a reference point. When we are serious about the danger, we put up large pieces of steel and concrete – we build fences. The fences stop people from heading over into the precipice, they stop people from crossing into oncoming traffic and they even can deflect noise away from houses to help other people. Again, we have an individual and a social aspect to these barriers but these are no ‘ignore it’ mechanism – this is physics! The analogy is excellent for the barriers and measures that we can use in teaching. An aware student, one who needs the occasional reminder, will see themselves moving over the white lines (perhaps not doing the work to a previous standard) and maybe even hear the lane markers (get a low mark on a mid-term) but they can usually be relied upon to pull themselves back. But those students who are ‘asleep at the wheel’ will neither see the lines nor hear the warnings and that’s where we have a problem. In terms of contribution and assessment, a student who is not showing up to class can’t get reports on what they’re failing, because they’ve submitted nothing to be marked. This is one of the reasons I try to chase students who don’t submit work, because otherwise they’ll get no feedback. If I’m using a collaborative mode to structure knowledge, students won’t realise what they’re missing out on if they just download the lecture notes – and they may not know because all of the white line warnings are contained in the activity that they’re not showing up for. This places a great deal of importance on finding out why students aren’t even awake at the wheel, rather than just recording that they’ve skipped one set of lines, another, wow, they’re heading towards the embankment and I hope that the crash barrier holds. Both on the road and in our classes, those crash barriers are methods of last resort. We have an ‘Unsatisfactory Academic Progress’ system that moves students to different level of reporting if they start systematically under performing – the only problem is that, to reach the UAP, you already have to be failing and, from any GPA calculation, even one fail can drag your record down for years. Enough fails to make UAP could mean that you will never, ever be perceived as a high performing student again, even if you completely turn your life around. So this crash barrier, which does work and has saved many students from disappearing off with fails, is something that we should not rely upon. Yes, people live through crash barrier collisions but a lot don’t and a lot get seriously injured. Where are warning lines in our courses? We try to put one in within a week of starting, with full feedback and reporting in detail on one assessment well within the first 6 weeks of teaching. Personally, I try to put enough marking on the road that students can work out if they think that they are ready to be in that course (or to identify if they can get enough help to stay in), before they’ve been charged any money and it’s too late to withdraw. I know a lot of people will read this and think “Hey, some people fail” and, yes, that’s perfectly true. Some people have so much energy built up that nothing will stop them and they’ll sail across the road and flip over the barrier. But, you know what? They had to start accelerating down that path somewhere. Someone had to give them the idea that what they were doing was ok – or they found themselves in an environment where that kind of bad reasoning made sense. Someone may have seen them swerving all over the road, 10 miles back, and not known how to or had the ability to intervene. On the roads, being the domain of physics, I get that. How do you stop a swerving drunk without endangering yourself unless you have a squad of cars, trained officers, crash mats and a whole heap of water? That’s hard. But the lines, markers and barriers in our courses aren’t dependent on physics, they are dependent upon effort, caring, attentiveness, good design and sound pedagogy. As always, I’m never saying that everyone should pass just for showing up but I am wondering aloud, mostly to myself, how I can construct something that keeps the crashes to a minimum and the self-corrections minor and effective. Your analogies and models do work for education. I wish more educators–long before the university years would take this to heart. The successful student generally has a history of more that one or two devoted teachers in their history. When I get hold of twelve-year olds, I am very aware that some have gone years without the mentoring and encouragement you speak of. To go after kids who don’t know they are lost or don’t think they are worth saving from the wreck they see ahead, takes an unusual teacher…a teacher who is not just about content and test scores. 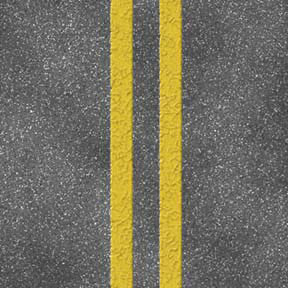 When my students leave me in May, I wonder if they have learned enough road skills to get to their destinations–if they don’t get another educator like me. What I concern myself with is more simplistic than what you must address, but I would like to think that your job would be easier and far-reaching if my students were in you courses.